Every year from 2020, the Fondazione Internazionale per la Scultura will award studio scholarships to artists who are dedicated to three-dimensional work. Length of stay: beginning of May to the end of October. Five artists will be selected by the jury to live and work at the Centro Internazionale di Scultura. Professional 3-D artists may apply for a studio scholarship after completion of their studies at a recognized university/academy. Recommended are one to two years professional experience and exhibitions of their work. Three-dimensional artists with no formal education may apply if they have been working as artists for at least five years and have exhibited their works publicly (in galleries, art spaces, museums) or have been able to exhibit three of their works in a public space. 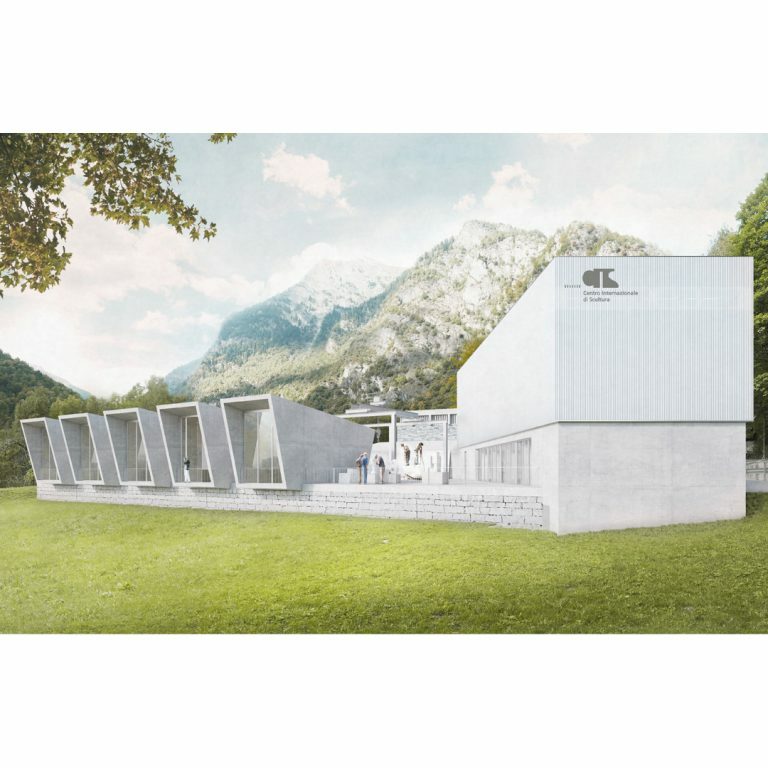 Each studio scholarships holder will have an apartment in the artists’ house which is located in the village centre of Peccia, Switzerland. There are six residential units in this house. Each unit has its own shower/toilet and small kitchenette. The house has a large kitchen and dining area for communal use. The scholarship holders are expected to cater for themselves. Internet connection is available: WLAN. There are five studios available. These are usually awarded only once. The studios are designed as autonomous working units. The scholarship holders must be willing and capable of working independently with sculpting materials. In line with the purpose of the Foundation, the marble of Peccia is the main work material, but all other stones and other materials such as wood, metal, plaster, clay, and paper can be used. There are no assistants or other workers available to help with the projects. After their stay, the scholarship holders may become members of the Artistic Committee. They are eligible in the awarding of the studios together with the Artistic Committee members and the jury. As a rule, one former scholarship holder is elected to become a member of the jury. The scholarship is CHF 1500 per month. The artists will have at their disposal a personal studio, a shared work area with a 20-ton crane, and three workshops equipped with all the necessary tools and materials for work with stone (marble), wood, and metal. They will live in individual apartments in the artists’ house which is located in the village centre of Peccia. The works created in Peccia are subject to a commission of 30%. If an artist is able to sell one of his/her works created in Peccia, 30% of the proceeds will go to the Centro (Artists’ Solidarity Contribution). Since the dawn of human history, men and women have shaped everyday objects into special forms. In so doing, they have left behind traces of their own lives and the world of their imagination. All cultures known to us, on any of our continents, have thus created sculptures in which past, present, and future are intertwined in forms of everlasting beauty. They will continue to generate significant expressions of mankind’s own perceptions in the future. As part of Centro Internazionale di Scultura’s wholehearted commitment to this tradition, they strongly believe in the potential for development that is offered by three-dimensional art. With the aim of promoting the artists working in the field, Centro Internazionale di Scultura are committed to the creation of the International Centre for Sculpture as a place where tradition is developed and celebrated further in the years to come. For more information, contact info@fondazionescultura.ch.